I’m sure you’ve made goals before. A goal to lose 5lbs, a goal to get an A on a test, a goal to graduate. Those are simple goals; let me introduce you to SMART goals. They will help you accomplish your weight loss goal and assist you through your journey so you know what to do, how to do it, and when it should be done. Specific – A speciﬁc goal is one that is clearly deﬁned in such a way that anyone could understand what the intended outcome is. Goals should contain a detailed description of what is to be accomplished; when you want wants to accomplish it by; and the action(s) that will be taken to accomplish it. Example: I want to lose 35 pounds by March 1st, 2013 by exercising daily and eating clean and healthy. Measurable – Your goal needs to be quantiﬁable. Establish a way to assess the progress toward each goal. If a goal cannot be measured, a client cannot manage it. You need: Scale for pounds and body fat %. Measuring tape for inches. Example, “I want to look better” is not measurable, but “to reduce body fat by 5% in 12 weeks” is measurable. Attainable – Attainable goals are the right mix of goals that are challenging, but not extreme. Goals that are too easily accomplished do not stretch a client or make him or her grow as a person because they are not challenging enough. Example: Instead of aiming to lose 20 pounds, try for 7-10lbs, if overweight or obese. Obese means 30+ pounds over the healthy range. Realistic – To be realistic, a goal must represent an objective toward which an individual is both willing and able to work. A goal is probably realistic if the individual truly believes that it can be accomplished. Additional ways to know whether a goal is realistic is to determine whether a client has accomplished anything similar in the past or to ask what conditions would have to exist to accomplish this goal. Example: I have lost weight before by eating healthy and exercising so I know I can do it again, but make it permanent this time. Timely – A goal should always have a speciﬁc date of completion. The date should be realistic, but not too distant in the future. For example, set goals that can be achieved tomorrow and in 3 months. Example: I will lose 35 pounds and 10% of body fat by March 1st, 2013. Total Goal: I will lose 35 pounds and 10% of body fat by March 1st, 2013 by exercising 60 minutes of cardio and 30 minutes of strength training at least 5 days a week. I will also avoid processed foods, sugary foods, and eat clean and healthy. I will lose 5-7 pounds per week and measure this by weighing myself on Sunday morning before breakfast. Bonus: I will check in with my trainer daily to make sure I am on the right track, and to express how I am feeling. I will post a monthly picture of myself on Facebook or Twitter for social responsibility. A great way to start your weight loss journey, to start your full commitment is to start with a SMART goal. Write it down and put it somewhere you will see everyday, like the fridge, your desktop, and phone wallpaper. Do not skip this part! If you’ve been following the behavior changes, you should be fully ready to write this goal and begin it now. Today. Tonight. Whatever time you are reading this, start now. You should make a short term goal and a couple long term goals, one for 3 months, 6 months, and one-year. Write yours in the comment below. Don’t skip any steps! Displaying your goal in public holds you to a higher responsibility, so express your goal everywhere and you will have a higher chance of accomplishing it. 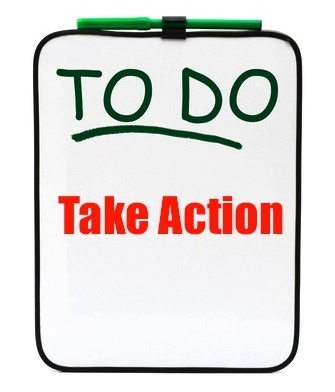 You must make an action plan to meet your goal. Here are the steps. By the way, I’m explaining all the secrets of being a personal trainer FOR FREE! If you want to help me back, please LIKE my facebook, FOLLOW my twitter, and DONATE to my paypal so I can keep helping you for free. What is my objective (goal)? What is the target date to complete my goal? What resources are needed to accomplish my goal (money, time, equipment, people)? What do I need to accomplish on a daily basis to reach my goal? What is the current status of my goal? What are some possible difﬁculties I may have to overcome to reach my objective? What is my total goal? Feel free to take advantage of the Limited Time Offer to receive full 1-1 personal services. Thanks for reading and good luck with your Weight Loss Journey.